Tasnim – The prosecutor general of Tehran said a large number of drug offenders serving lengthy sentences will be released under recent clemency granted by the Leader of the Islamic Revolution on the occasion of the 40th anniversary of the Islamic Revolution’s victory. 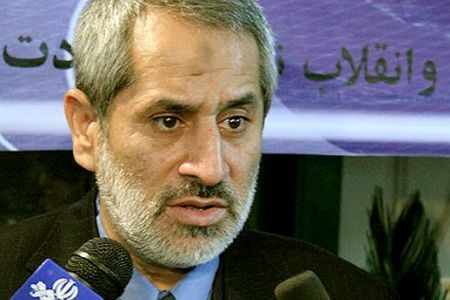 In comments at a radio program on Tuesday, Abbas Jafari Dowlatabadi said the recent clemency given by Ayatollah Seyed Ali Khamenei would apply to a remarkable number of drug convicts with long sentences. Those given a life sentence or facing the death penalty are usually granted an amnesty, he noted, saying there are thousands of convicts sentenced to life in prison in Tehran alone, many of whom are entitled to the new clemency. Last week, Ayatollah Khamenei approved a proposal to grant an amnesty to a large number of Iranian prisoners on the occasion of the 40th anniversary of victory of the Islamic Revolution. The new clemency would apply to a large population of inmates, including those sentenced to life in prison who have remained behind bars for at least 15 years for men and at least 12 years for women. Men above the age of 70 and women above the age of 60 will be also released from prison, provided that they have served at least one-fifths of their sentences when sentenced to more than 5 years behind bars.